What a joy to photograph this family. Baby Caroline arrived just before the new year and is absolutely the calmest, happiest little lady. Big sister Cathryn was full of kisses and hugs and yet also, at times, totally uninterested in little sis. Completely normal and perfect in every way. Geez! Almost three months since my last blog post. Spring has been full of shooting, editing, mothering, building a house and finding time for myself here and there too. Not to mention a jaunt to New Orleans for an incredible learning experience with some of the most talented photographers in the country. I don't want anymore time to pass though without sharing a few recent family sessions that completely fill my heart. This is one of them. I photographed this beautiful family a few weeks ago in Tarboro shortly after welcoming their second baby boy into the world. We had a perfect, easy morning together. I met and photographed adorable baby Jack at just three weeks old. I've known his mama for a long time which made our session extra special. We shared a lot of laughs which is basically just the only sensible way to handle life with a newborn. It was a great afternoon. Ahhh six months old is such a wonderful little age. Thomas has so much personality and the best expressions. His parents love him so dearly and they are quickly becoming one of my favorite little families to photograph. We had such a good morning together. An adorable baby, a sweet dog and a gorgeous light-filled home are what make my job not a job. New parents madly in love with their fresh little boy creature are the icing on top. I love everything about this beautiful newborn session. I photographed (and swapped stories with) Mary Elizabeth, Alex and their new little love James a few weeks ago in their beautiful light-filled Raleigh home. Their first child, Duncan, kept a close eye on us and the proud new grands joined for a few photos as well. I loved my afternoon with them! 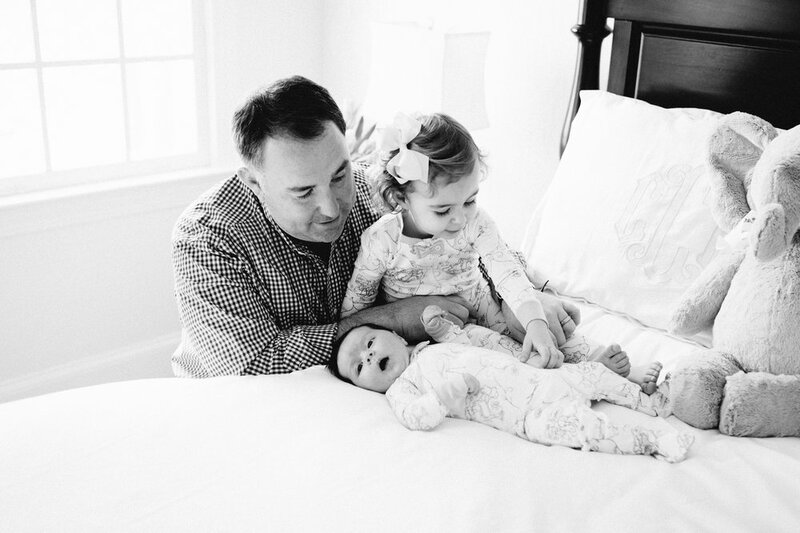 Jessie, Brack and big sis Mackenzie welcomed baby Brinlee to their family last month. She's just precious and has made herself right at home! 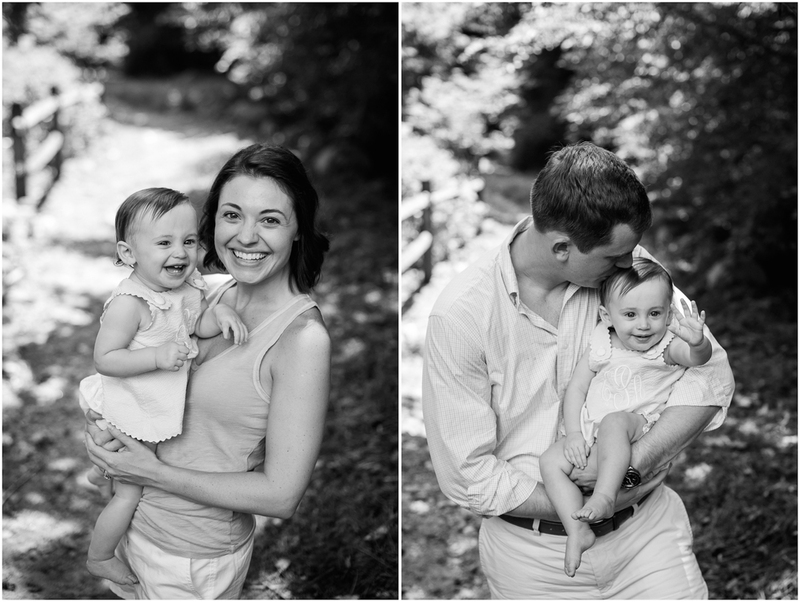 I had the pleasure of photographing Merrill, Travis and nine-month-old Brinson a couple weeks ago in Greenville. I photographed baby Brinson when she was first born so it was great fun to see her again and ohh and ahh over how much she's grown in just a matter of months. Well, my little guy turned a month old yesterday and I'm patting myself on the back for managing to not share all 8,000 photos I've taken since day one. It's been an amazing journey to say the least and we are still in awe of every sneeze, burp, hiccup and grunt. He's walked through the woods and along the ocean, met two of his four great-grandparents, and brought me to tears just looking at him. As they say, he's a keeper.